Download APK for AndroDumpper 1.90 for Android - AndroDumpper is an utility that you could use to find out if your get entry to point is at risk of WPS protocol. As regular, the application lets you carry out this take a look at on any network, however it's advocated to use it exclusively for your very own. To use the software effectively, you will need to have a rooted device and the app Busybox installed. Even if this is not the case, you can still use the application, but the check with out rooted privileges is less dependable. 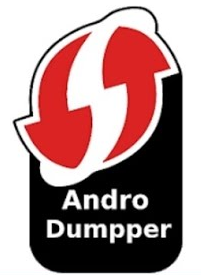 AndroDumpper is an utility with some really thrilling capabilities. No longer most effective does it will let you affirm the security of your point of get admission to, however it additionally lets you see all the passwords for all the WiFi networks that you have linked to from that Android tool.